Beauty, health, spa, and wellness companies in South East Asia will now have the chance to showcase their cosmetic and well-being products, as well as their services, to a global audience. <>The Beyond Beauty ASEAN-Bangkok 2014 (BBAB) held its first press conference in the Philippines last August 5, 2014 (Tuesday) at the Dusit Thani Hotel in Makati City. The Chamber of Cosmetics Industry of the Philippines (CCIP) along with the Philippines Health and Wellness Society (PHWS) formally opened the event, which was aimed at attracting the South East Asian beauty market. The press conference served as platform for the association of the beauty industry to collaborate on the promotion of the BBAB trade show that will be held in conjunction with the 3rd World Spa and Well-being Convention (WSWC). It showed the great support given by our country’s cosmetic organizations for the event’s success, and also highlighted the growing potential of the country’s cosmetic market and the business opportunities that Filipinos can benefit in. The event will be attended by beauty, health, spa, and wellness experts from all over Asia and Europe to highlight some of their products and services. They will also share some of their experiences in the beauty industry for those who want to venture into it. 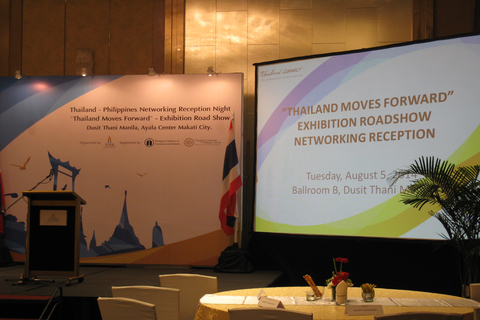 BBAB is scheduled to launch on September 18-20, 2014 in Bangkok, Thailand. Beyond Beauty Events chose to have its press conference in the Philippines partly because of the country’s population of almost 100 million, making it one of the largest beauty markets in South-East Asia. With the nation’s positive economic growth and an expanding middle class, the demand for grooming, personal care products, and well-being leisure is continuously growing. Owners of local and regional beauty, health, spa, and wellness companies are encouraged to become exhibitors of the trade show to have the opportunity to set up strategic global alliances and network with other entrepreneurs. 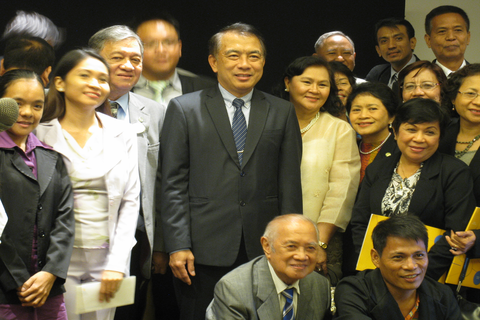 The event can be a stepping stone for the industry in preparation for the ASEAN integration. “I believe that it is time for Filipino cosmetics to consolidate their business strategy and consider regional strategies and alliances to further accelerate the growth of their companies as well as that of the Filipino industry,” said CCIP President Anna Marie Anastacio. PHWS President Cecilia Lucentales added that the Philippines and Thailand both consider health and well-being as contributing factors for the rapid growth of their tourism industry. Collaboration between the two Asian countries can be vital for their respective economies. The BBAB 2014, organized by IMPACT Exhibition Management in partnership with Informa Exhibitions, is projected to attract over 400 exhibiting companies and some 15,000 visitors on its official opening in September.